As an Italian-American, Saint Patrick’s Day has never been a big holiday for me but the history of the holiday has always intrigued me. 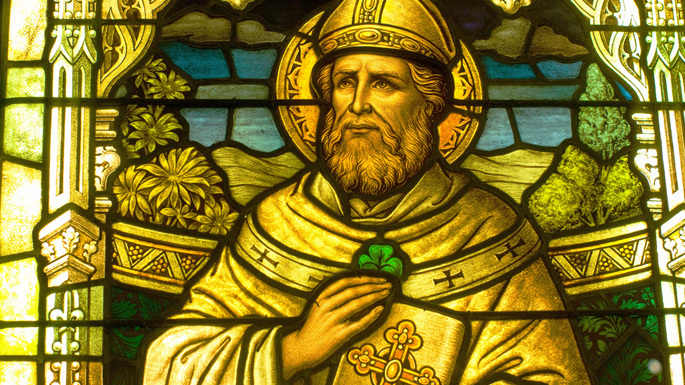 St. Patrick’s Day was made an official Christian feast day in the early 17th century. It celebrates the heritage and culture of the Irish. For most people we think of Corned Beef and Cabbage or Irish Stew as the food on this day. 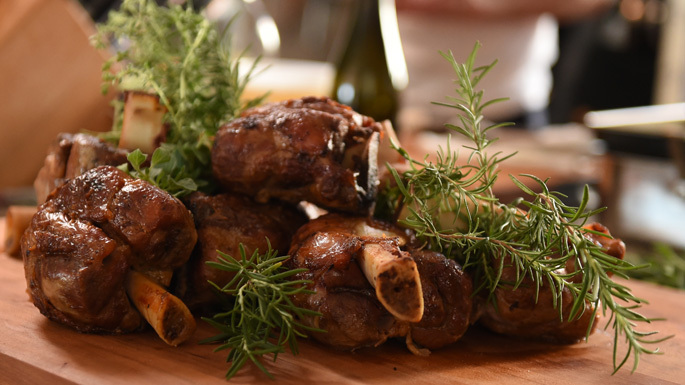 But for this holiday, I’d like to offer up a different meat dish – Braised Pork Shanks with Fennel. Whatever you choose – enjoy the celebration of St. Patrick! This Braised Pork Shanks with Fennel recipe is also known as “Stinchi di Maiale Brasati con Finocchio”. It appears in Lidia Bastianich’s special, Lidia Celebrates America. Preheat the oven to 400 degrees. Season the pork shanks with 1 teaspoon of the salt. Spread some flour on a rimmed sheet pan, and dredge the shanks in flour, tapping off the excess. Heat a large skillet over medium-high heat. Add 2 tablespoons of the olive oil. When the oil is hot, sear the shanks, in batches, on all sides until well browned, about 8 minutes per batch. Set the reserved fennel tops and dark green parts of the leeks in the bottom of a large roasting pan. Set the shanks on top. Add the chicken stock, 1 cup water, and the bay leaves. Cover with foil, and roast until the shanks are just tender and beginning to pull away from the bone, about 2 hours, basting periodically. When the shanks are almost ready, heat the skillet again over medium-high heat. Add the remaining 2 tablespoons olive oil. Add the fennel bulbs and the chunked leeks and potatoes. Season with the remaining ½ teaspoon salt. Toss until the vegetables are light golden on the edges, about 10 minutes. Remove the pork from the oven, remove the foil, fish out the leek greens and fennel tops, and discard them. Add the sautéed vegetables, and give everything a toss. Roast, uncovered, until the shanks and vegetables are very tender, about 35 to 40 minutes. Remove the shanks to a cutting board and remove the bay leaves. Make a bed of the vegetables on a warmed platter, and cover them. Pour the pan juices into a spouted measuring cup (or a defatting cup if you have one), and skim off as much fat as possible. Holding the shank upright, carve off the meat and add it to the platter with the vegetables. Spoon the sauce over it, and serve.